Question: Node.js is best suited for what type of application? Node.js is best suited for real-time applications like Online games, Collaboration Tools, Chat Rooms etc where Real time data required without Refreshing the page. Question: Why I should use NodeJS ? Best for Real Time Application. Well suited for applications that have a lot of concurrent connections. Question: Why I should Not use NodeJS ? Dealing with files can be a bit of a pain. Not good for Blogs and static sites. Question: How do I pass command line arguments to Node.js? Question: How do I debug Node.js applications? Question: How to list local packages installed? Question: How to list global packages installed? 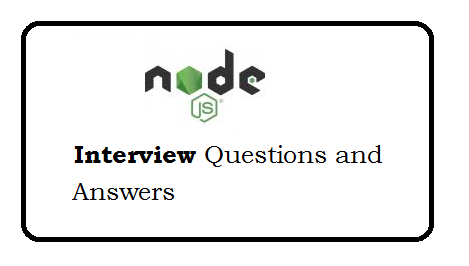 Question: How to parse JSON using Node.js?? Question: How to get GET (query string) variables?